Ichigo is pretty cool, he’s gone through a lot from the moment he first met Rukia Kuchiki and he cut through his first Hollow. Ichigo went from saving Rukia, to making sure that Orihime is brought back safely from Hueco Mundo, to learning about Chad’s Fullbring abilities and Uryu’s Quincy abilities. All of which has developed Ichigo’s powers one by one, and now this awesome fan art of Ichigo’s Final Getsuga Tensho sees why Ichigo is such an awesome character. 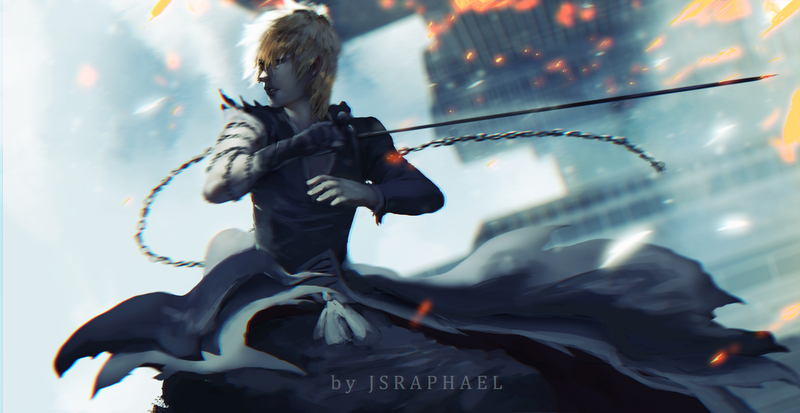 This fantastic artwork of Ichigo Kurosaki was done by Jsraphael, if you like what you see, be sure to go ahead and check out his other work from the big anime’s. 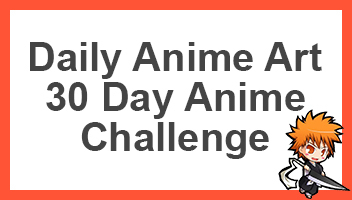 Otherwise, if you want to talk about Bleach, or even share this page and it’s art then go ahead and do so. I really like Ichigo for his development. I really like how he changes throughout Bleach. When compared to Naruto or Luffy, I personally think Ichigo is the most developed of the three. Indeed, I think he’s come a very long way. In terms of character development, I think he’s also received alot of development without realising… Kubo definitely did a great job. And he is far more realistic than naruto and luffy….